A field of anemones in Omalos. 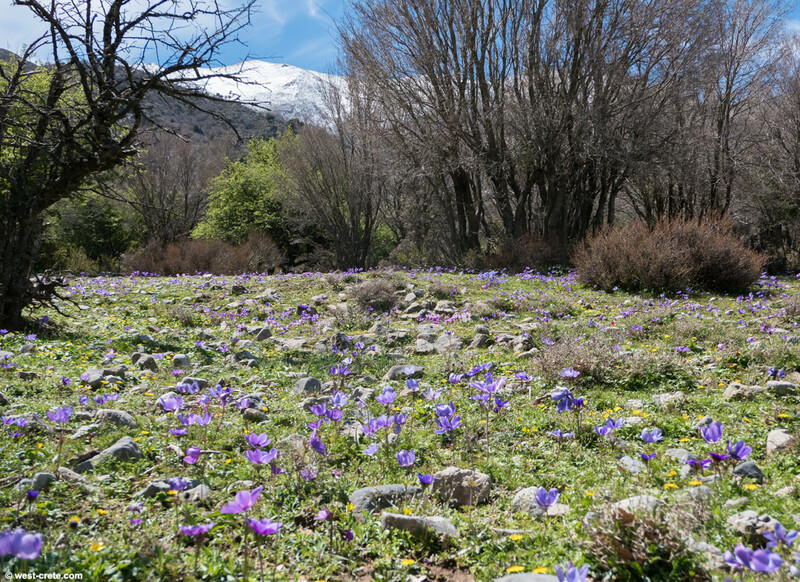 The summit of Psilafi (1980m) is visible in the background. It acquired a bit of snow again a few days ago.